Read A Book - Build A Library Recipients. Read about the wonderful people & organizations we've helped! You know you can depend on Riley Hospital for Children at IU Health, one of the nation’s top-ranked children’s hospitals, when your child needs best-in-class care across every pediatric specialty known to medicine. Ward Education Center volunteer readers Students earned the privilege of donating books, puzzles, blankets, and games to the children at Riley by completing their reading logs. Students also wrote over 100 encouraging letters to Riley Champions in the hopes of bringing cheer to their day! MRC assisted Riley in performing Miracles, so in addition to the supplies, $1.00 was donated for every student and staff at Ward. Special thanks to one of our sponsors Mr.Chuck Surack for a generous donation that helped MRC and students with this project. The Vincent House Transitional Shelter provides shelter and supportive services for homeless families with children while they work toward higher levels of self-sufficiency and prepare to move to their own housing. MRC has an ongoing relationship with Cindy Keaton and many young people who live at the Vincent House Shelter. We have presented them with 4 suitcases- average cost 325.00 per case, total $800.00. While they have enjoyed being recipients of the supplies they decided that they wanted to give back to another organization. They are now becoming Volunteer Readers for Catholic Charities! The Franciscan Center, Inc was established in 1989 as a homeless shelter and sack lunch program. But over the years has changed to serve the needs of the Fort Wayne Community. MRC works with Executive Director Tony Ley. Tony has allowed MRC to establish a “store” in the center. MRC painted, supplied shelving and approx. $500.00 worth of comfort items, school supplies and non-perishable food items. This is our ever present contribution to the center. Anyone who enters the Gaywood Center may choose from these supplies. MRC has also founded the Egg Drop Program which due to the efforts of Ms. Betty Kunard, fresh eggs are delivered to the center . 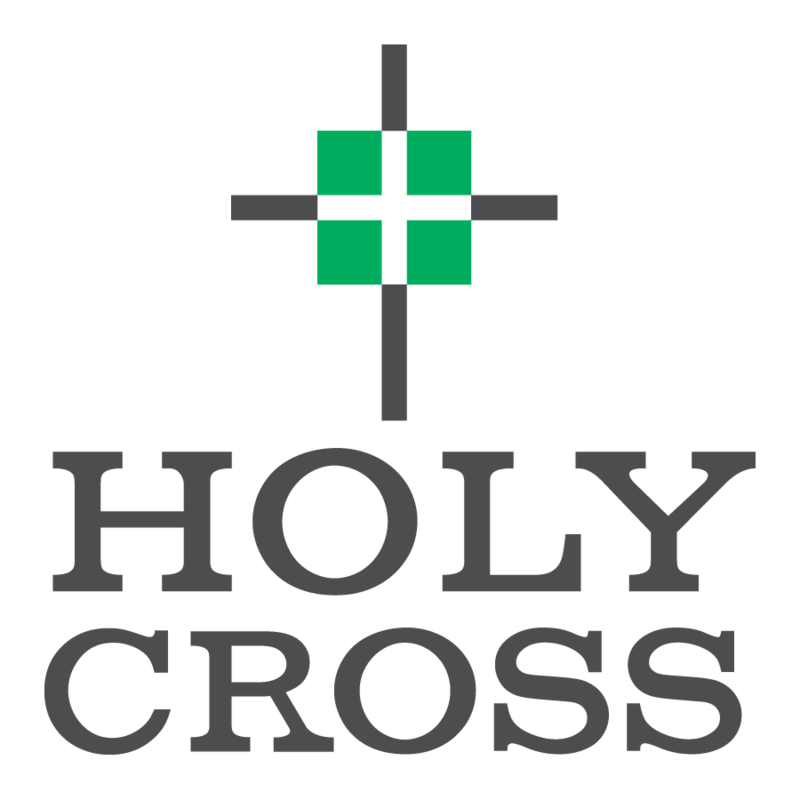 Holy Cross Preschool will teach to the needs of the whole child. They have an active program with a combination of play, listening and learning opportunities. They believe each student is a unique Child of God with spiritual, academic, social/emotional and physical developmental needs that are important to them. MRC donated a suitcase full of beautiful books to the Pre-K class at Holy Cross. Approximate value of $350.00. St. Joseph's mission is to create a spiritual community of learning that educates and inspires students to reach their God-given potential. A visiting physician submitted St Joseph be a recipient of the RBBL program. The doctor was there doing school sports physicals but none of the students had equipment for practices. We contacted their principal, Cristy Jorda. Ms. Jordan immediately wanted her students to be participants as volunteer readers & recipients. MRC supplied them with $800.00 worth of supplies. In addition, over $300 worth of soccer equipment, and 2 trunks of cleats were delivered to the school. Catholic Charities offers counseling services, supportive services, immigration and legal assistance, resettlement of refugees, transitional hosing, case management, and many more services for low-income families. MRC works with Nyein Chan at Catholic Charities and has donated over $800.00 worth of supplies to this organization. Working with Mr. Chan is a special experience as he personally goes to the schools and accepts the donations through MRC's RBBL Program. He explains to the students that he was a refugee and what these items and school supplies meant to him when he first arrived in America. Redemption House is a transition home for women who want to redeem their lives from past destructive behavior. How do they accomplish that? By developing a faith-based lifestyle, and by gaining the skills needed to live successfully on their own. Our staff visited Father Joe and Kathy Moreland at the Queen of all Saints Catholic Church in Beattyville, Kentucky. Beattyville is the poorest community in the USA. It was discovered that many of these people lack the most basic supplies needed to survive. We returned to Beattyville the weekend and assisted in creating a workshop full of toys and other much needed supplies to over 400 children. Easter Seals Arc provides exceptional services to ensure that all people with disabilities or special needs and their families have equal opportunities to live, learn, work and play in their communities. Bashor Children’s Home is a 501-C-3 non profit child welfare agency. We provide help for troubled children and their families through residential care, day treatment/ alternative education, foster care, and many other services. Bashor has become a regional provider for services over the last 90 years and works with over 150 children daily from 22 counties and 3 different states. Head Start provides comprehensive educational, health, nutritional, and other developmental social services to low-income and special needs preschool children and their families. Through Brightpoint’s Head Start program, children develop the skills they need to be successful in school-and life! It’s just one more way that we build stronger families, one child and one family at a time. Brightpoint Head Start serves children ages 3 to 5 in Allen, Noble, and Whitley counties. L.C. Ward students and the students at Allen County Juvenile Center read in order to donate 84 Brown Bear books and other children's book titles. Everyday children are rescued from abuse, neglect, and abandonment. These children are confused, scared, and desperate for security, comfort after being separated from family, home and possessions. Children frequently enter foster care with nothing. Pockets of Hope provides these children with new backpacks filled with personal care items they need, and comfort items they can call their own. Through Read-A-Book, Build-A-Library local Fort Wayne students read to donate these much needed items to children being admited inot the foster care system. Local students also have the opportunity to read in order to donate to schools and orphanges abroad. It is exciting for our students to be able to experince the prviagle of giving to another country and learning about another culture. Madina Village School is a rural primary school in Sierra Leone, West Africa serving 330 students. The school was founded by Francis Mustapha, who was born in the village of Madina. Working through MRC, Weisser Park Elementary School in Fort Wayne became a Sister School for the Madina Village School in Sierra Leone, Africa. Every one of the Weisser students wrote a letter to a student in Madina Village. They, in turn received letters from their friends in Africa! Our program motivated students from Weisser Park, Indian Village and Blackhawk Middle School to read over 3,000 hours in order to donate 700 books for the Madina Village School. It is the first library in that country since the civil unrest! A Thank You letter to Blackhawk Middle School from Madina Village. Horizontes Al Futuro is a non-governmental association, non-profit, constituted in 1988, and with legal personality no. 153-89. It is also a rehabilitation center for children and boys at social risk, whose main objective is education, training and reintegration into the family and society. It houses in its facilities around 36 boys whose agess are between 6 and 18 years, that receive an education based on dialogue, understanding and love. Our educational ideal: Educated With Love. The Staff at MRC and local students through the Read-A-Book, Build-A-Library program have had a major impact for the last six years in building a substantial library in Horizontes in honor of Michael Francis Owens, a close personal friend and educator. In addition, over 1,500 books have been donated to other local orphanages and mountain schools. To name a few: La Paz, La Vida Cristiana, and Hogar Nazareth. MRC also provided books, academic supplies, and comfort items to mountain sites. Many Thanks to Sonrisas Simpre for introducing us to this beautiful country and it's people and delivering our supplies when we were unable to do so persoanlly. Niños del Sol is a children’s home in Peru where 18 children — all survivors of trauma, abuse and neglect — are being raised as a family. NdS is dedicated to nurturing the children with life skills, open hearts, yoga/wellness practices, organic food from local farms and their own garden, and lots of love. In June of 2016 the staff of MRC traveled to Scared Valley, Peru to deliver books, school and art supplies to the students at Nino De Sol. Many thanks to the students at Indian Village Elementary school in Ft. Wayne, IN for participating in the Read-A-Book, Build-A-Library program. Your reading efforts helped make this happen. The staff at MRC had the privilege of partnering with Mark Murphy at Pathway Community Church in 2014 and 2015. Books written in French, school and art supplies, backpacks and water bottles were delivered. Our days were spent working with local caregivers establishing rules and procedures to promote personal, spiritual, and academic success for the children living in EBO.